With the SUV craze dominating the industry, rising above the competition can be a difficult task. The new 2018 Honda CR-V EX compact SUV, however, makes this looks easy. The new CR-V EX is an exciting mixture of efficiency and utility, while also adding in equal doses of comfort, elegance, and sophistication. Add to that the powerful array of Honda safety measures, and the new CR-V EX provides ample peace of mind. 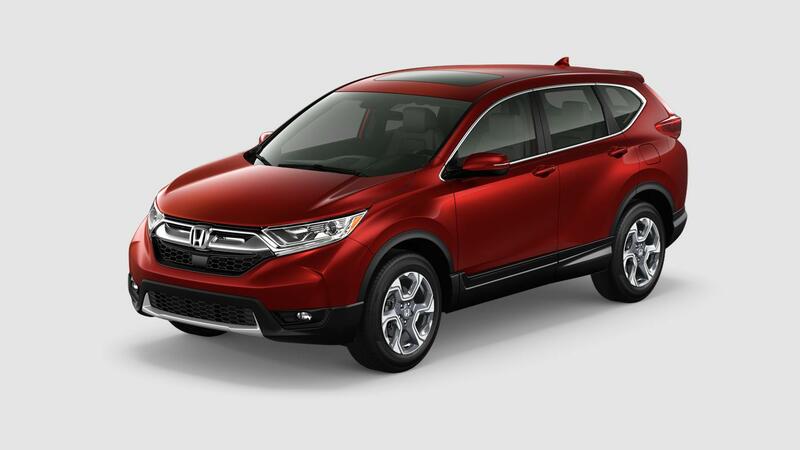 Here at Rock Honda in Fontana, CA, we’re proud to carry the new CR-V EX, in stock today and available for test drives immediately. We’re here to serve all of the San Bernardino County area, including Rancho Cucamonga, the Inland Empire, and San Bernardino, so come on down and drive home in the new 2018 Honda CR-V EX compact SUV today! You’ll find a strong lineup of custom features and options in the new 2018 Honda CR-V EX compact SUV. Superbly designed inside and out, there’s much to love in the new CR-V EX. Interior features such as driver’s seat with 12-way power adjustment including 4-way power lumbar support, multi-functional center console storage with sliding armrest, 180-watt audio system with 6 speakers & Bluetooth®, and Forward Collision Warning (FCW)(Honda Sensing® feature) all work to keep the new CR-V EX safe and sophisticated. On the outside, features such as multi-reflector halogen headlights with auto-off, rear privacy glass, heated body-colored power side mirrors including integrated turn indicators, and Vehicle Stability Assist™ (VSA®) with traction control are among the several standard features on the new 2018 Honda CR-V EX compact SUV. Come down and take one for a test drive today! The new 2018 Honda CR-V EX compact SUV is an exceptional blend of features and style, and it also boasts an impressive performance rate as well. With Honda’s competent in-line 4-cylinder engine with single-scroll turbocharger powering it, the new CR-V EX has output of 190 horsepower and 179 lb.-ft. of torque! 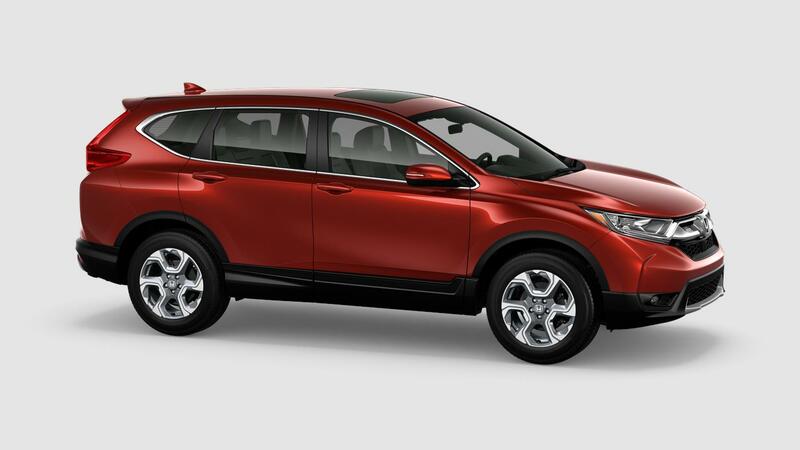 When you combine that with its comfortable seating for up to 5 passengers, its ample cargo space, and wonderful amenities, the CR-V EX is a clear choice for today’s car buyers. Come on down to Rock Honda in Fontana, CA and check out the new 2018 Honda CR-V EX compact SUV today!